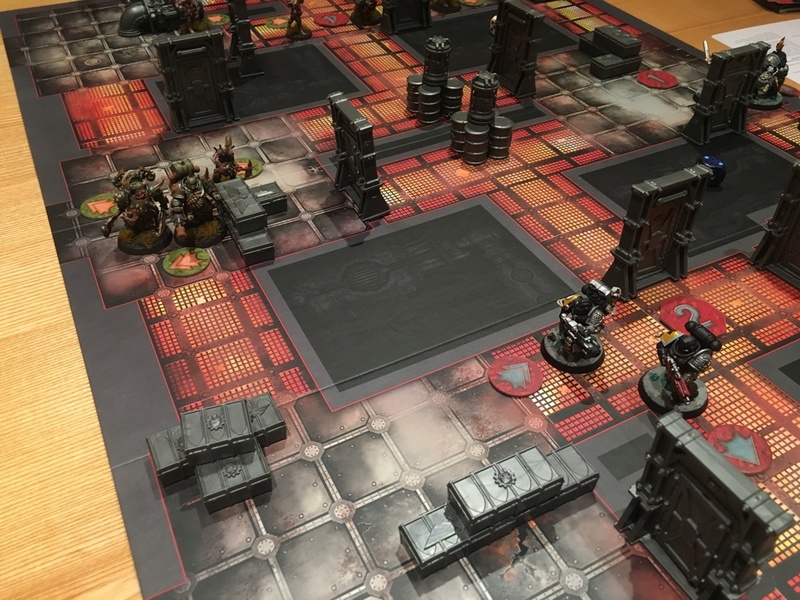 Don’t judge the format by your first few games! 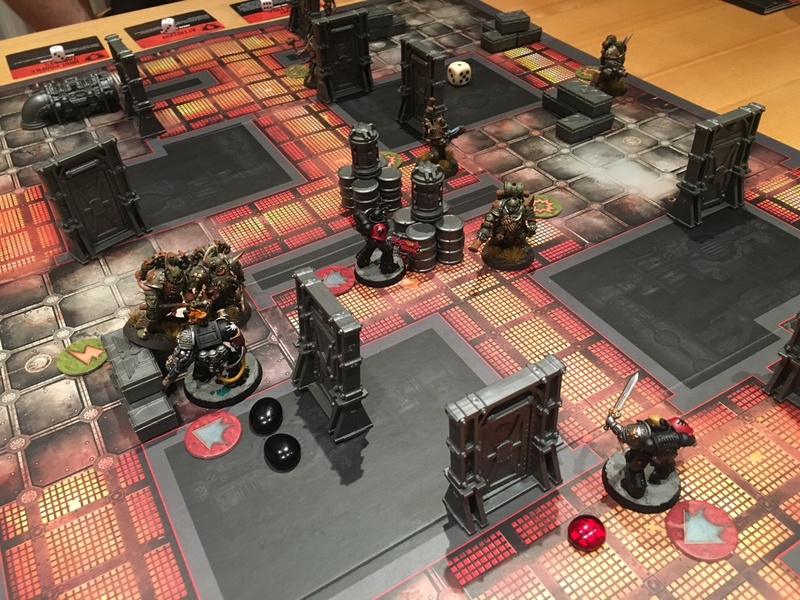 I really struggled in the first two games, between a low model count Kill Team and some bad luck, particularly on Initiative rolls (often winning it when I didn’t want it!). Stick with it. Different missions and objective sets reward different play styles. Lots of ways to score VPs. You can score from the Mission, the Arena Objectives (three chosen from a pool of five) and a specific objective in the mission. 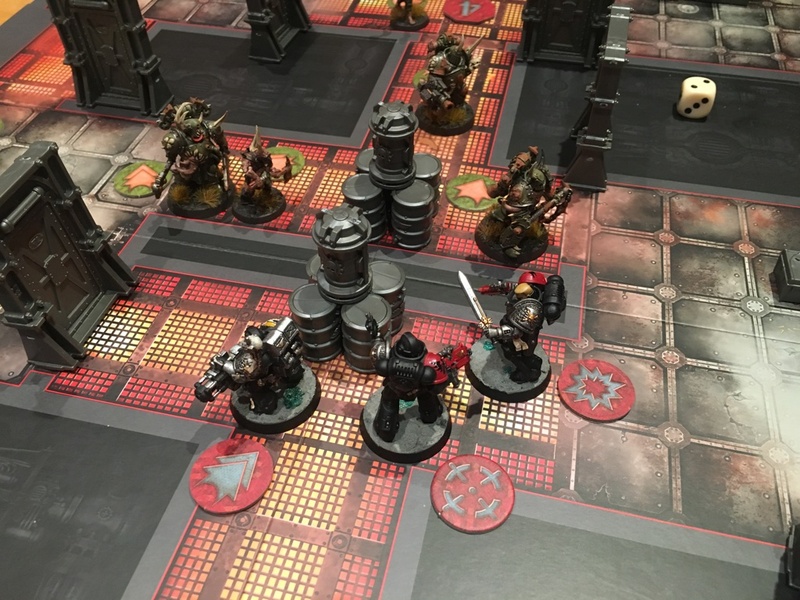 Pay attention to these are your Kill Team selection and which objectives you choose will determine how you approach the mission. The games are fast. We’ve been playing full four turn games in about 40 minutes. They are really fast to play! Doors! Doors are great defensive features. Simply closing one can deny the opponent a line of fire or a charge. Bodies matter! 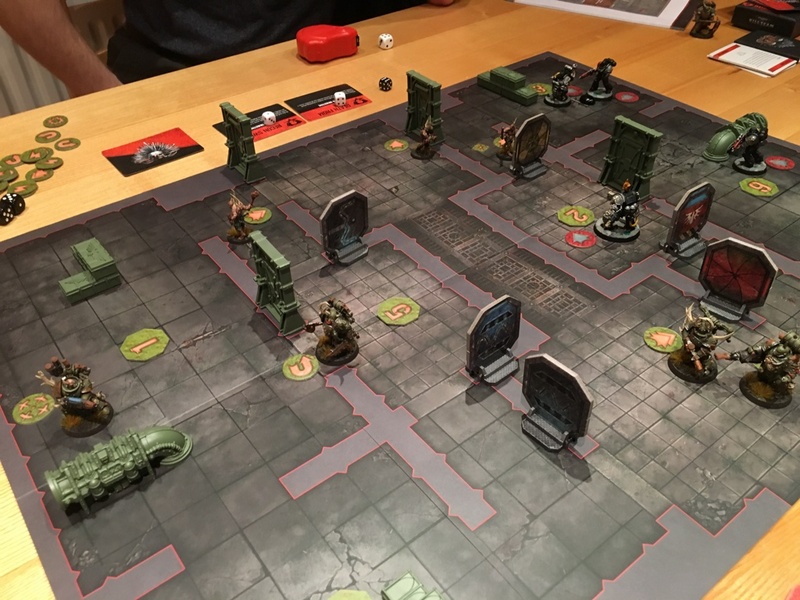 With a five man Kill Team I’m struggling to achieve some of the Missions and Arena Objectives. 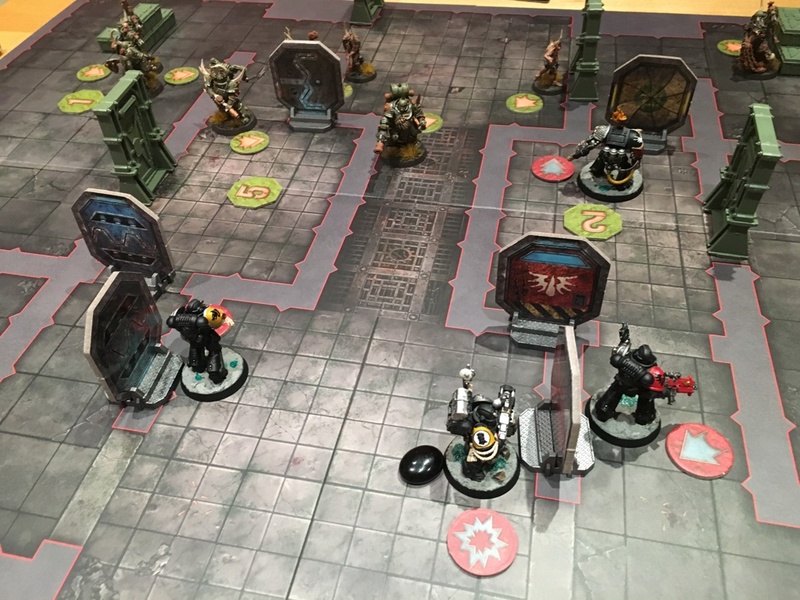 For ‘elite’ teams like Deathwatch and Grey Knights, all Adeptus Astartes actually, they may struggle without cheaper models to run for objectives. 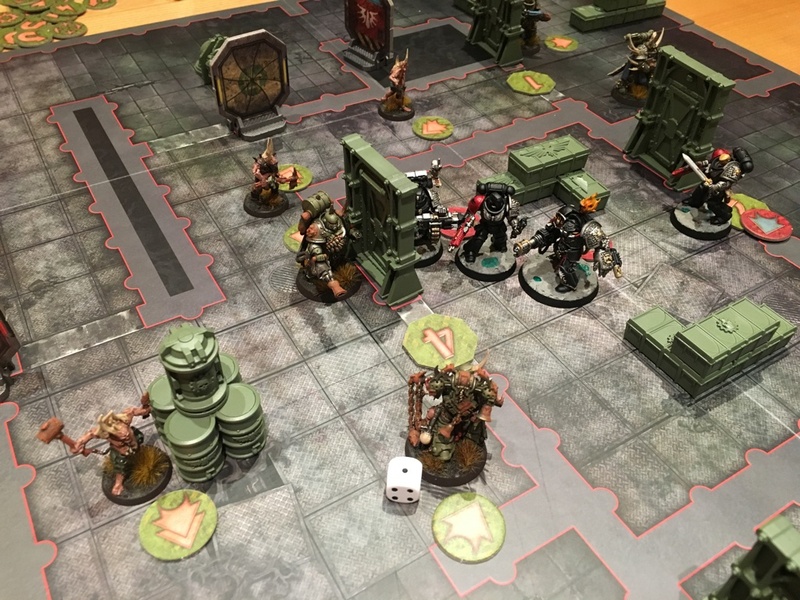 Not necessarily all about killing… but, why is it called Kill Team then? 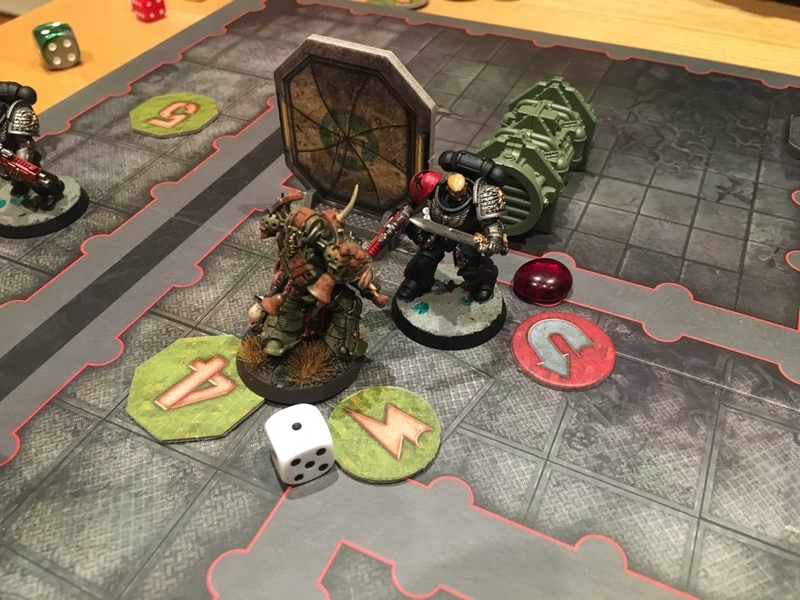 This last point reminds me somewhat of Malifaux. Many of the Arena Objectives are about board control. Killing the opponent’s models can help with this, but if you solely focus on killing, then you’ll fail to score some much needed VPs. That said, there are still plenty of VPs to be scored for killing! Of the five games so far, Dan has won three and I’ve won two. 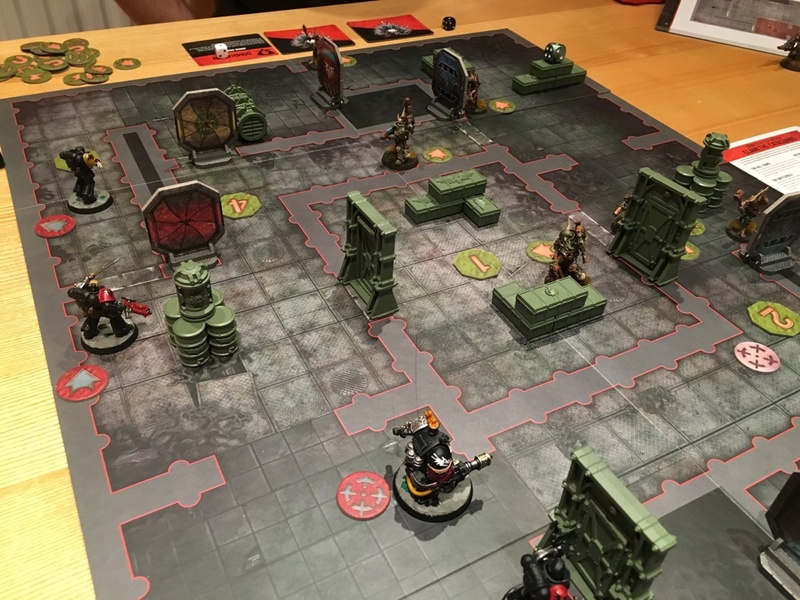 I foresee many more games of Kill Team: Arena in my future!